As anyone who has seen Jaina artworks and sculptures will know the iconography is very similar to Buddhist art. 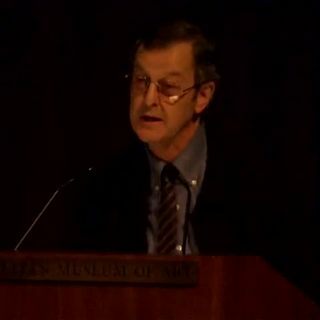 In this lecture at the Metropolitan Museum in New York John Guy discusses the similarities and differences in Buddhist and Jaina art, with many fine examples to illustrate his points. There is a such a similarity that, if one is not familiar with Jaina art, on first glance you may think you are looking at Buddhist art. The Buddha and Mahāvīra are shown in similar postures and environment, even having the same hair and long ears. The main difference, and the easiest to identify, is that in Jainism at least the torso of the sage is naked, whereas in Buddhist art the Buddha is always clothed. In fact there are two main schools in Jainism: the Dīgambara, who do not use clothes, and the Svetambara, who employ one simple while cloth, which is also reflected in the art works of these schools.